Pt. Bhavani Shankar is one of the India’s leading percussionist and pakhawaj exponents who started rigorous training under the guidance of his Guru and father, Pt. Babulaji, from the age of five. Pt. 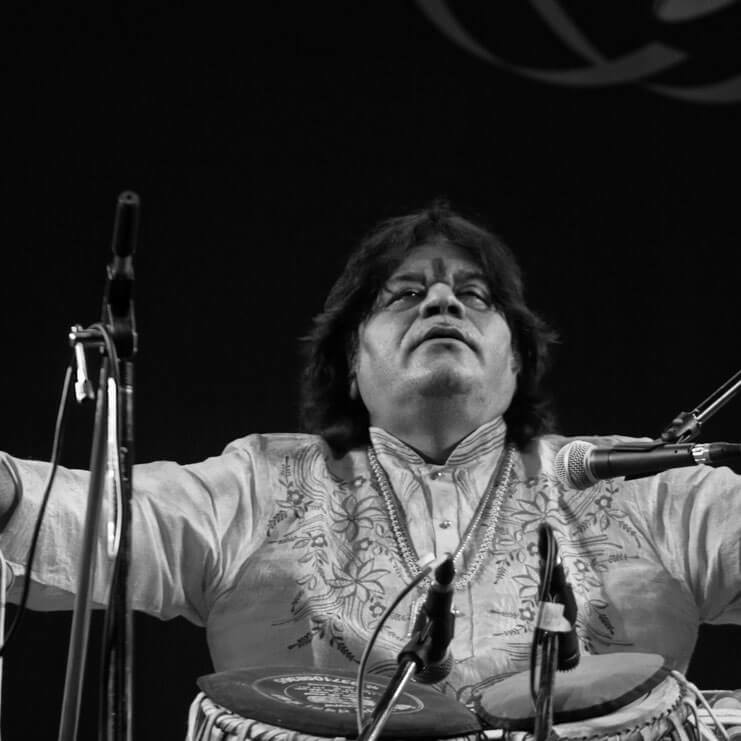 Shankar is also a renowned tabla maestro, having fine-tuned his skills under the guidance of Pt. Shivlaji Kathak of the Ajrada gharana. He has leveraged his distinctive styles to create his own revolutionary way of playing the pakhawaj and elevating the popularity of this instrument to a completely new level. He is a sought after soloist and accompanist, having shared the stage with some of India’s greatest maestros, including Pt. Bhimsen Joshi, Ustad Allah Rakha Khan, Pt. Shivkumar Sharma, Pt. Hariprasad Chaurasia, Pt. Jasraj, Ustad Zakir Hussain, among others. He has also played with international musicians like John McLaughlin, Peter Gabriel, and Hardie Hanckoe, to name a few. Pt. Bhavani Shankar continues to enthral audiences worldwide and has delivered reverberating performances at major music festivals in India and abroad. Having produced more than 150 CDs & cassettes during his illustrious career, he has been mentioned in the Guinness Book of World Records for his devotional musical album ‘Shree Ramayan’ for its continued recording of more than 20 hours.